Research in Motion’s cell phones have been the business standard ever since email was introduced to the mobile market. An enormous BlackBerry clipped to your belt was a symbol for the technologically capable businessman (and woman) long before the notorious Bluetooth headset. More players have joined the smartphone game, but RIM still remains king of the business market and has successfully entered the consumer market. The BlackBerry Curve 8530 is RIM’s most recent entry for consumers and it’s available through Verizon Wireless. At just under four ounces, the Curve is a featherweight both smaller and lighter than an iPhone. With a rubber backing and sturdy frame, the Curve seems rugged at first touch. However, the plastic buttons on the front feel flimsy and take away from the build quality and durability. Instead of pronounced buttons like the ones found on the keyboard, the navigation and media controls are flush with the body of the phone and aren’t the most accessible. 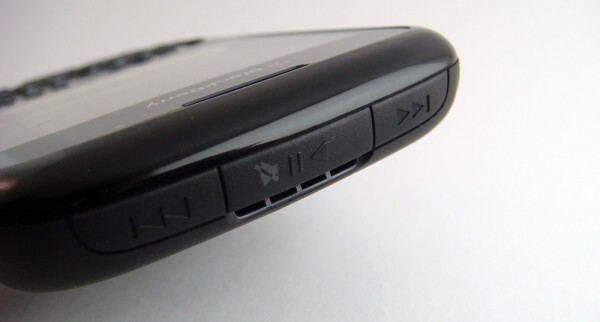 Media keys on the top of the body provide quick access to media player controls. You can pause, play, and skip songs without taking the Curve out of your pocket. These controls can’t be locked, but the strategic location of the buttons on top of the phone might help to prevent accidental song changes. This coupled with the standard 3.5mm headphone jack provides the essentials for a decent media player. It is clear that RIM did not make the Curve’s screen a top priority. The phone sports a mediocre 2.5 inch, 320×250 pixel display. This is not necessarily terrible, especially when you consider the fact that the iPod Classic has a similar screen size. It will seem a bit pixilated to the keen eye and those accustomed to high definition screens, and the low depth of 65,000 colors does not do much for video quality either. Battery life will suffer from the lack of proximity and light sensors, but this probably isn’t a deal breaker. The Curve’s screen does well in cafés and buses, but you can forget about reading email outside on a particularly sunny day. If you intend to use the phone outdoors more often than indoors, I would find a brighter screen. 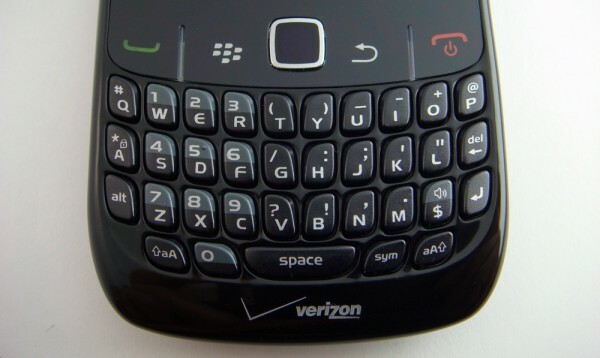 The famous trackball is one gripe I have always had with the BlackBerry. The old trackball often failed because dirt, oil, and grime had a tendency to collect on the sensor. RIM recently introduced an optical track pad that takes care of those issues and it’s featured on this phone. The track pad is a vast improvement over the trackball and is easily my favorite feature. It works like a combination between the old trackball and your laptop’s touchpad – just glide your finger over the pad in the direction you want to move the cursor. The web browser is infinitely easier to use because the touch pad allows you to navigate sites with a cursor rather than cycling through clickable items. More importantly, I was able to improve my BrickBreaker score by a couple thousand. Seasoned veterans of the Curve are some of the fastest mobile typists I’ve encountered, and they swear by this layout. The keyboard has a standard QWERTY layout with 35 backlit keys, similar to the keyboards found on older Curve models. The shape of the keys and a slight bow in the layout make typing on the Curve’s keyboard almost as natural as typing on a full sized keyboard. One downside is the keys are a bit small and will take some getting used to. 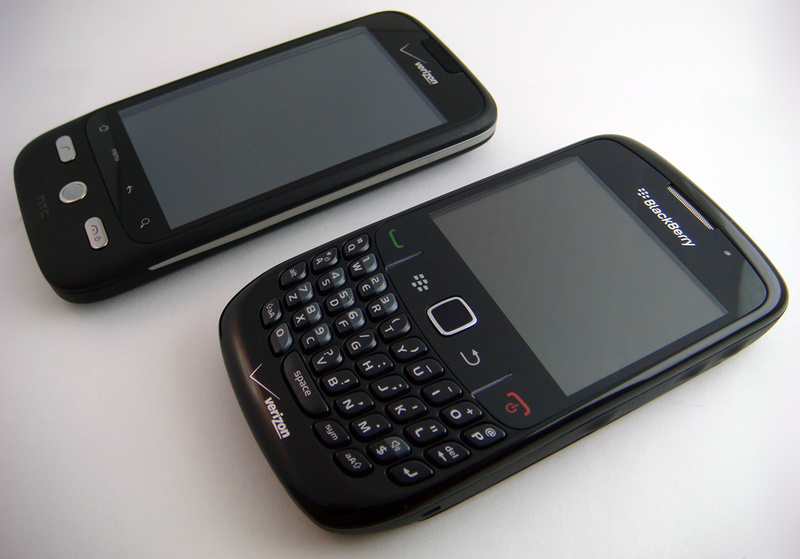 The BlackBerry OS has not changed much over the years, with only a few variations from model to model. This makes transitioning from BlackBerry to BlackBerry simple, but those who are new to the interface may have a tough time getting used to it. That’s not to say that a BlackBerry is harder to learn than other phones, but the BlackBerry OS is not nearly as intuitive as some of its competitors such as the Android and iPhone OS. For example, both Android and BlackBerry phones have a configurable central notification area. However, the location of the notification area on the BlackBerry OS isn’t as obvious as on the Android OS. Although capable of displaying full web pages, the BlackBerry’s browser is seriously lacking in speed. Even on Wi-Fi, pages render much too slow to compete with other smartphones. The Curve’s touch pad, as mentioned before, does make the browser easy to navigate. Adobe mentioned in 2009 that they are working with RIM to incorporate Flash Player into the BlackBerry browser, so we may see an upgraded browser early this year. As for application availability, BlackBerry has the basics covered with Facebook, MySpace, Flickr, document viewers, and a few useful utilities preloaded. BBM users will have to head to the BlackBerry App World to get the latest BlackBerry Messenger; oddly enough the Curve does not have it loaded out-of-the-box. Verizon Wireless customers are probably already familiar with the inability to access the Internet and make phone calls simultaneously on a single device. This impediment has lead to issues with lost email in the past. 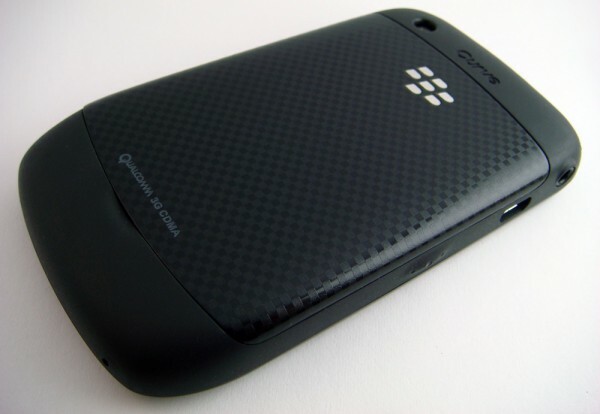 The BlackBerry Curve 8530 has Wi-Fi in addition to CDMA, so it is possible to make calls and use data simultaneously in areas with WIFI signal. The 8530 also has notable advantages over its GMRS sibling, the Curve 8520, in that it is 3G enabled and has GPS. The phone’s signal quality is not nearly as good as other Verizon phones. The Motorola Droid, for example, had full 3G bars at my desk, while the Curve could barely muster up a single bar in the same spot. But even with full bars on both ends, the audio quality is just average. It doesn’t filter out background noise well enough to use in busy or loud areas, but in general calls are as clear as on any other cell phone. A note for Google Voice users: the Google Voice application is currently buggy on this phone. It seems to integrate well with the address book, but your contacts do not sync regularly and outgoing calls are seldom connected successfully. Most of the new BlackBerry models have 3.2 megapixel camera, which seems to be the standard for many manufacturers. The Curve’s, however, is a measly 2.0 megapixel, fixed focus, flash-less camera. Zooming is all digital (up to 5x), so in the end there isn’t much of a zoom function at all. With only 256 megabytes of flash memory to share, the Curve’s camera system was outdated before it even hit store shelves. You will need to insert a MicroSD card to use the video camera function. The phone’s memory is expandable up to 16 gigabytes with a MicroSD card, though some users have reported problems with cards larger than 4 gigabytes. One thing I will say the camera does well is sharing. In addition to standard MMS and email sharing, the camera software takes advantage of the preloaded social networking apps by allowing you to upload pictures and videos directly to Facebook, MySpace, and Flickr. The sharing features are convenient and fast, and I hope to see more from BlackBerry in this area. The preloaded BlackBerry Maps application has come through for me in a pinch a few times, although it could use a bit of improvement in terms of speed. It takes far too long to acquire satellites; it can take over a minute to get going, even when outdoors in areas where other Verizon phones have great GPS signal. BlackBerry Maps gives reliable directions, but it lacks voice guidance and features found in turn-by-turn navigators. If you are looking for a navigator with turn-by-turn directions, Google Maps or VZW Maps will have to do. Google Maps is normally a fantastic feature-packed alternative that easily fulfils this role, though it does not seem to use the GPS properly on this phone and gives poor approximations. Either way, the Curve won’t be replacing your Garmin any time soon. If you are looking for a phone that will fulfill that role, Android phones like the Motorola Droid and the Nexus One will impress you with a fantastic navigation interface and a huge screen. The media player is surprisingly easy to use. In fact, the interface and workflow is in many ways similar to the iPod’s interface. It does take more effort on the user’s part to manage the library since the phone does not come with software like iTunes. The media player supports a variety of formats, including MP3, WMA9, AMR, AAC, MPEG4, H.263, H.264, and WMV9 audio and video. 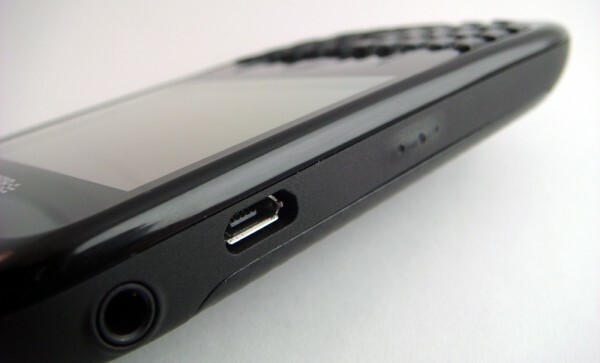 The 3.5mm headphone jack puts out more than adequate audio quality, considering this is a BlackBerry and not something commonly used as a primary portable music player. The external speaker can be very loud, though music sounds how you might expect it to sound on a phone: a ringtone. While I wouldn’t use the Curve to replace my iPod, RIM is taking huge steps in that direction with other models like the Storm. The Curve’s battery life is disappointingly short. RIM reports a 3G talk time of about 4.5 hours and a standby time of 10.5 days, but I find the latter to be a little unbelievable. I used this unit sparingly on most days and was lucky to go a full 24 hours on one charge. There were days when I could barely squeeze a full 16 hours out of it after a full night of recharging. I expected a short battery life and a daily recharge; most smartphones, even the iPhone and Droid, have notoriously short battery lives. However, I never thought it would run out of juice before I did on such a regular basis. As a lower-end version of the Bold, some of the Curve’s shortcomings in terms of build quality are expected. 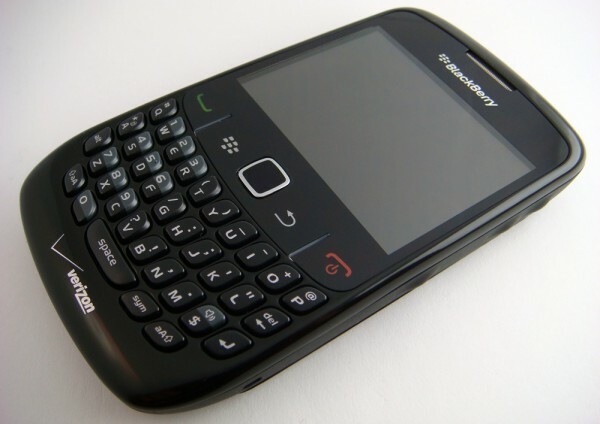 Current BlackBerry users, especially those who have owned the Curve, will love the familiarity of the BlackBerry OS and the physical keyboard. Don’t count on the Curve replacing your MP3 player and GPS device, though it will do a great job complementing your current devices. If you frequently take photos and videos with your phone, I recommend checking out the Motorola Droid, which has all the great sharing features found on the Curve but also has a 5.0 megapixel camera with flash for higher quality images. Business users, travelers, and BlackBerry enthusiasts should take a look at the more robust models like the Bold and the Tour. 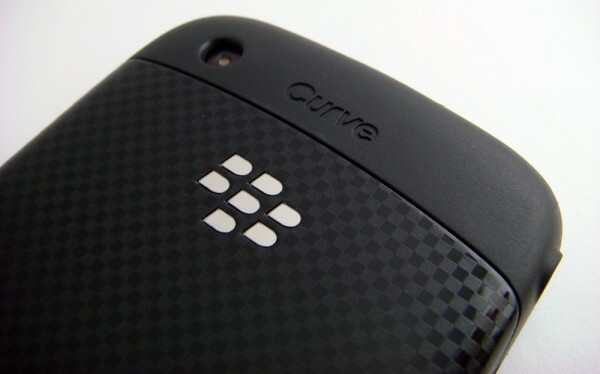 If you are looking for the BlackBerry experience on a budget, you can’t go wrong with the Curve. All nitpicking aside, the 8530 is a decent smartphone and a great addition to the Curve family. If you’re ready to pick to pick one up, it’s available for $50 after signing a new two-year contract with Verizon Wireless. I have been having problems with my Curve 8530. I love most of the features but it lacks in signal strength. I was always able to get 2-3 bars with other cell phones. But with the Curve in my home office I can’t even get one bar. I will see about getting another phone. I have had 2 Curve 8530 so far both have been defective. The first one just stopped working one day, the screen went white and blank. Unit would not turn off. Upon recieving my new phone (old one was under warranty) I was disappointed to find that this was a refurbished unit (thanks Rogers) which was cosmetically in worse shape than my old phone. This one lived for just over 24 hours before deciding to die in a similar fashion to the first. Screen goes blank. I can remove the battery and replace it an hour later which will allow the phone to temporarily work for a short time. All in all its the worst phone Ive ever had. Nothing but problems. Didn’t like the phone still not making a call on a low battery even after I connected it tothe charger. It could just notify that charging was diabled while the radio was on for the phone call. I was able to get around that by doing a manual reboot or using the call 911 and hang up before they answer trick, and I downloaded the free forceradioon app, but I think the phone should do what I tell it to, and just inform me of the consequences or in some situations warn me in advance and if I’m sure before proceeding, but it should just refuse to make a phone because someone else decided that charging my battery was more important than me making my phone call, even when I just pressed the send key. Call up customer service, they should help you out. Should only take a few minutes. It’s an easy issue.